The other evening, Steve and I happened upon this new little place which is tucked into the hillside at the Village St. Jean hotel. 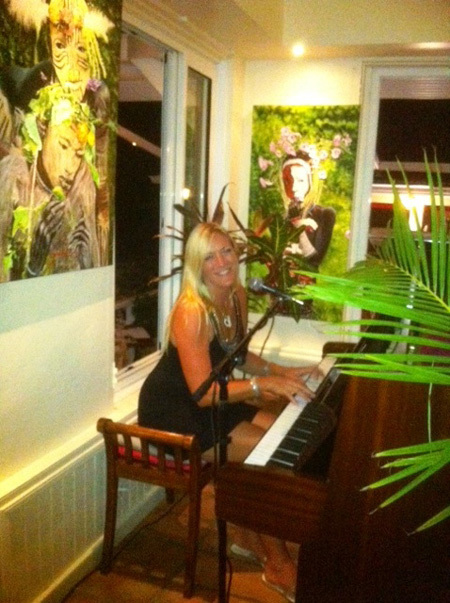 My friend Christine Gordon was there singing and playing the piano along with the very talented David Jared. We went just to check it out and to have a drink but when we saw other people dining on some interesting looking dishes we decided to stay for dinner. The menu varies each night. The very imaginative chef Felix Questel goes shopping at the various markets each morning and then creates his menu according to what fresh items he was able to find. Felix comes with lots of experience. He learned his profession by training in Guadeloupe, Martinique and Paris. He was previously at La Cantina and the Christopher. 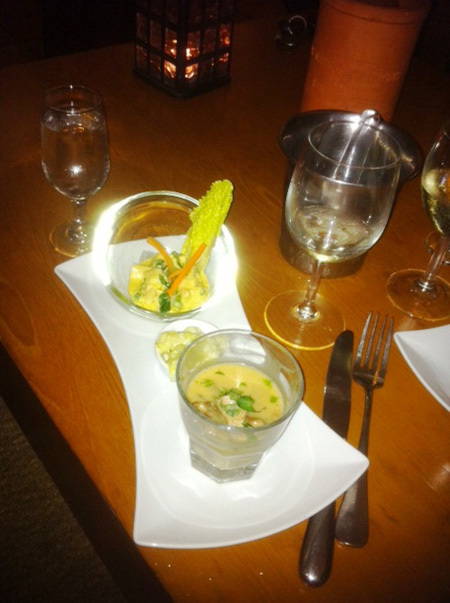 That particular evening Felix wanted us to try them all, so we chose to dine on the dégustation menu for 42 euros. 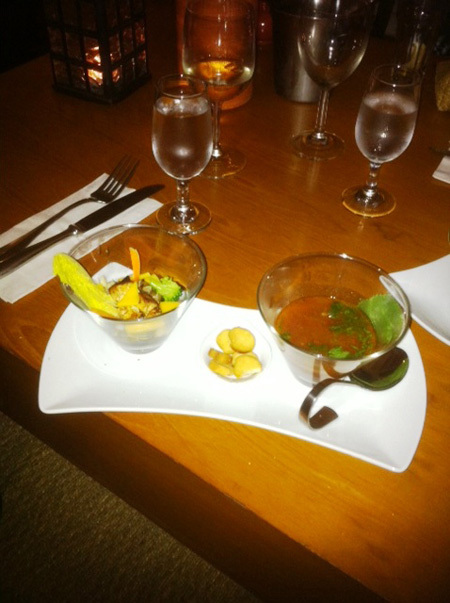 Each dish came out in two’s and portions were presented in a small glass dish. We loved everything! The French use the term, Méli-Mélo which best describes the fare. 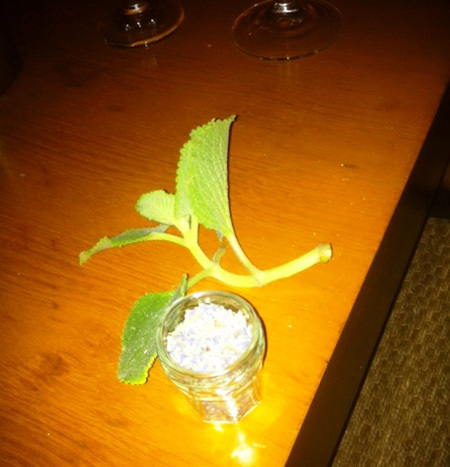 It is a mixture, a potpourri so to speak, of wonderful ingredients that when put together make outstanding dishes. Le Bar du Village is a casual place where people can go for drinks and a light meal. The menu items average between 15 and 22 euros apiece. It is in a nice setting with views from the terrace and it is where singles and/or couples can meet other people. It is open every evening except Wednesday. Try it and let me know your take on it. By the way, do you remember my last blog about my very, very delayed flight to Brazil? Well, I received an unsolicited email from American Airlines apologizing and informing me that they deposited 20,000 miles into my frequent flyer account! I didn’t tell you about what happened on my return flight as I did not want it to turn into an AA-bashing affair. BUT when we landed in Miami there were all sorts of emergency vehicles rushing out to meet our plane. We had been stopped on an active runway as we were about to taxi to the gate. It seems our brakes had overheated and there was smoke coming out of the area so we were prevented from going any further. The engines on the plane were turned off and after awhile we were given the ok that all was under control. Then we had to be towed to the gate because they did not want to re-start the engines. A few days later I received another unsolicited email from American apologizing for the scare. They deposited 10,000 more miles into my FF account! So, at least I earned enough miles for a free ticket. There is always a bright side to everything. I cannot say that my trip went off without a hitch. When you travel as much as I do these days, you come to expect it. The first part was perfect. 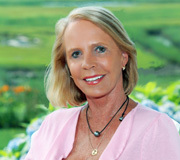 I was heading to Sao Paulo and Steve’s job was to bring two huge suitcases back to our house on Cape Cod and get one of our cars out of storage in preparation for our return from St. Barth next month. We hired Easyway and their VIP service to come to our villa and take our luggage to the airport. They took our passports and got our boarding passes for our flight to St. Maarten, so all we needed to do was arrive 15 minutes before our departure. Pascale Minarro from my St. Barth office was traveling to Sao Paulo with me and we chartered St. Barth Commuter to take us to St. Maarten for our transfer to Miami where we were to catch our connecting flight that evening. 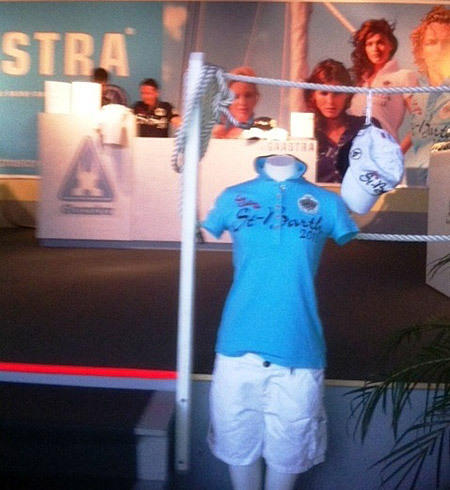 Easyway also met us in St. Maarten. They took charge of collecting our luggage and getting our boarding passes on American Airlines, so we did not even have to go outside to check in. We went through a small security area and were in the departure area in no time. Then we waited for our flight to Miami but it was quite delayed due to bad weather in Miami. It finally arrived but when we left Miami customs and were going to our flight to Sao Paulo, we were told it was delayed – TWELVE HOURS! Yikes the tradeshow started the next day – we would never get there in time. We spent the night in Miami and boarded our delayed flight the next morning expecting to arrive at 7:00 pm that evening. However, we sat in the plane for an hour and a half due to a problem with the navigation system before they told us to deplane and wait for news. They gave us a voucher for lunch…It was a $10 voucher! Have you ever been able to eat lunch at an airport for $10? Long story short, we departed at 1:00 pm and I arrived at my hotel at 11:00 pm. Pascale arrived without her luggage so she had to spend the following morning shopping for some decent clothes to wear for the trade show. AA had mistakenly put her luggage on the night flight to Sao Paulo instead of on our delayed flight…a comedy of errors. The show was great and worth the aggravation to get there. By the time we finished our 15 minute individual appointments, each and every travel agent we met was ready to send their clients to St Barth as well as visit the island themselves. Now that I am back in beautiful St. Barth, I have more villas to inspect because many owners are coming to our office and requesting that we add their villas to our inventory. As you may already know, I insist on visiting each and every property before we agree to represent them. 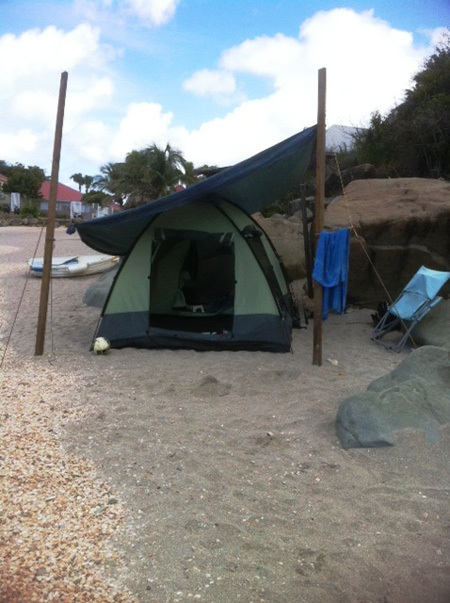 We also have partnerships with the hotels in St. Barth. They are included in our St. Barth Properties’ The Hotels of St. Barth collection. The BIG news is that the beautiful luxurious Guanahani Hotel & Spa has a very special promotion on their Summer Packages $1= 1 euro! That is a huge savings. Have a look at the packages here: http://stbarth.com/hotels/LeGuanahani/packages.htm. 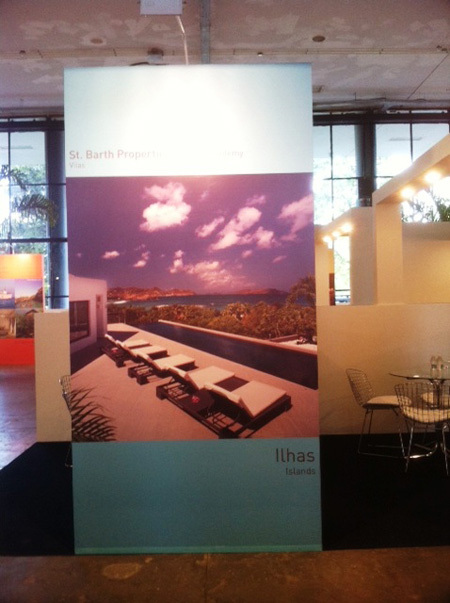 For more information, please contact: guanahani@stbarth.com. 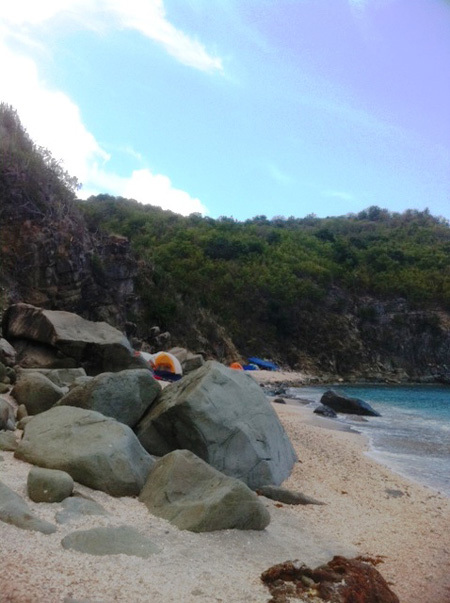 Have You Ever Sailed Around St. Barth? 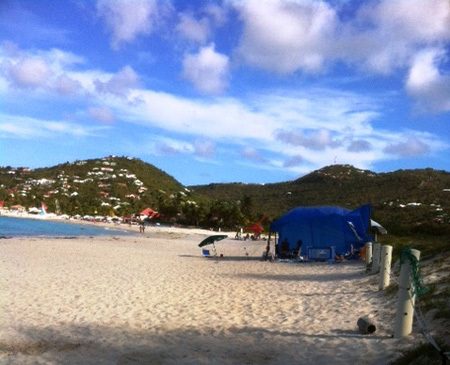 I first discovered St. Barth and fell in love with it in 1986. Can you believe it has taken me 25 years to finally sail around the island? It was certainly worth the wait. We are fortunate to have so many wonderful clients and even more fortunate that lots of them return to St. Barts time and again and have become good friends. Two such people, Tim and Cathy who usually stay at Villa Crystal Dream over Christmas, came back here for The Bucket. They stayed at Villa Datcha while their friends stayed at Villa The View (what a great spot for Bucket viewing!). 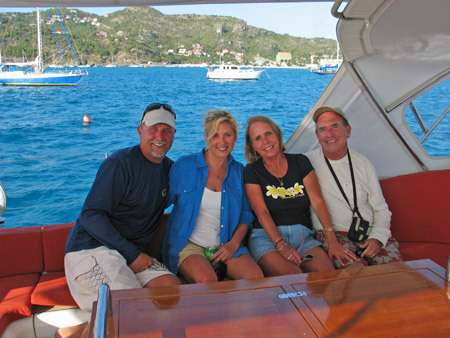 This time Tim and Cathy decided to also charter a sailboat as they love boating and they thought it would be fun to be in the water while the sailing yachts were in the heat of the race. SBP VP Tom Smyth was thrilled to be able to go out with them twice while he was here and Tom, who is a motorboat person, was amazed at how much fun sailing can be. Last week Tim and Cathy called the office and invited the SBP staff to go for an afternoon sail on the Cookielicious (love the name!). As we need to keep the office open and ready for our clients, only Magda, our Concierge, Maï, one of our Villa Specialists, Steve and I were able to go. We met Tim and Captain Mike by the Wall House dock at precisely 1:00 pm and, much to my dismay, we had to get into a dinghy to head out to the boat. When we got there, there were swells. 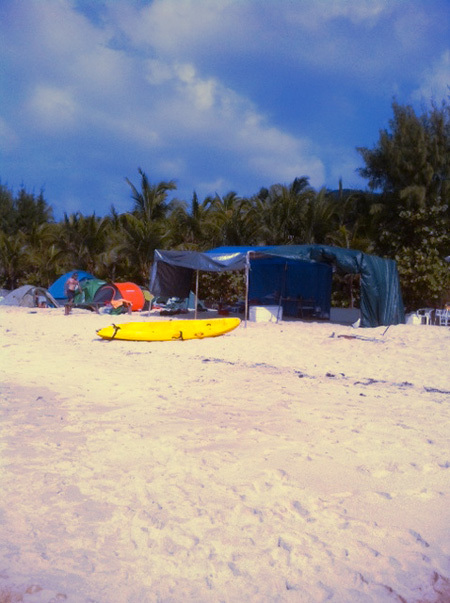 It took me at least 4 attempts to get myself out of that dinghy and onto Cookielicious (not at all gracefully either!). It was worth it. She is a 72 foot Oyster and very beautiful; she features a living area, great kitchen, 3 cabins and 3 baths. Charlotte, the first mate, had prepared some wonderful munchies which we enjoyed along with a Carib and a sumptuous glass of Sancerre blanc. Time to set sail; we headed out of the harbor past Public, Corossol and Colombier. The wind was just right and the day was perfect. We sailed clockwise and as we rounded the point of Colombier, the boat began to heel; we assumed our positions and held on to our seats. We sailed by Flamands, St. Jean, Lorient, Pointe Milou, Mont Jean, Marigot, Grand Cul de Sac and Petit Cul de Sac. Then we made a turn and headed towards Toiny before passing Grand Fond, Saline and Gouverneur. Just after that we made another turn and suddenly we had the wind at our backs and it was smooth sailing from there. We passed Shell Beach and the next thing we knew we were back at our mooring. It took a little less than three hours. We sipped a farewell glass of wine and enjoyed a few hors d’oeuvres before (reluctantly) heading back to dry land. (My exit from Cookielicious to the dinghy was a little more refined, I might add.) Thank you for a wonderful afternoon, Tim and Cathy! I had never seen the island from this perspective and it is amazing to marvel at just how much of St. Barth remains unspoiled and undeveloped. Being on a sailboat is so relaxing. No noise or fumes makes for a very pleasant ride. If you would like to try it, we have several options available for you. 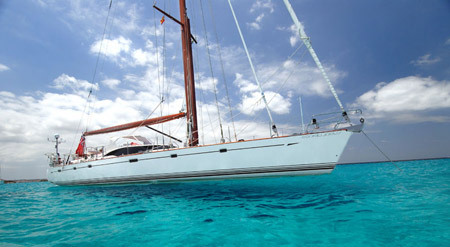 A private full day charter can be arranged by motor yacht, catamaran or sailboat. If you prefer a shorter trip, half day charters are also available. 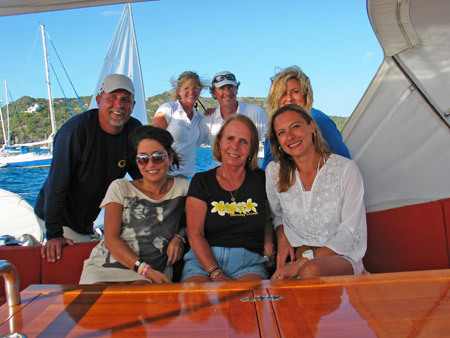 You can also join a group for a full day, half day or sunset cruise. 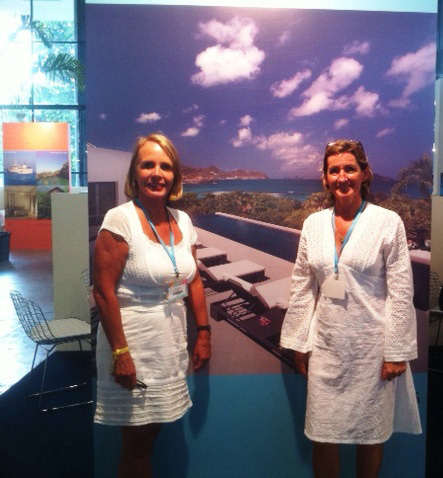 Our Concierges Julia and Magda make all the arrangements for guests Of St. Barth Properties. 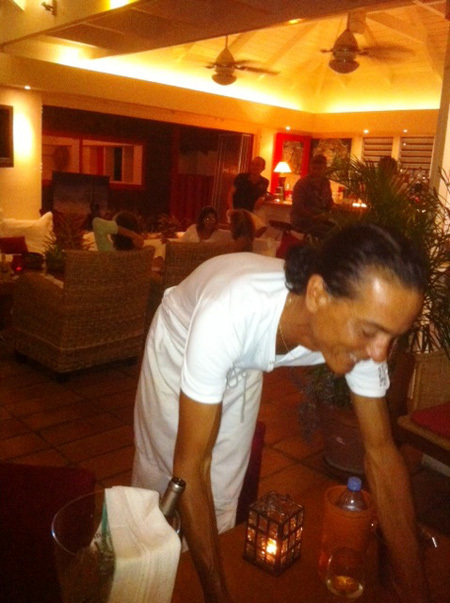 Email concierge@stbarth.com. I am off to Sao Paulo Brazil for Travelweek where I am meeting with luxury travel agents for two days followed by a two day trade show with the Brazilian people. In the meantime, the second annual Les Voiles de St. Barth is underway. 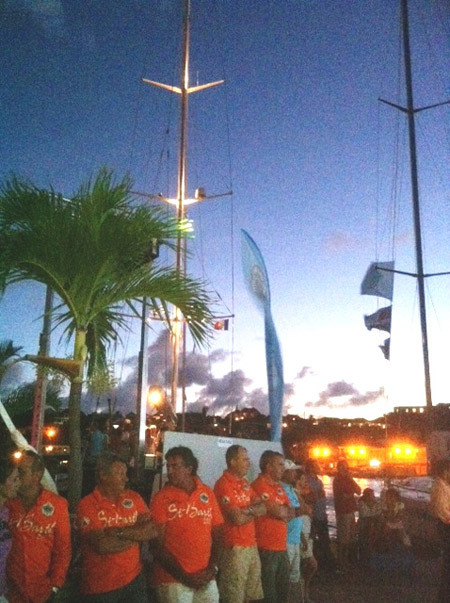 Organized by the St. Barth Yacht Club (SBP’s gérant (manager) Benoit Meesemaecker is the President) and sponsored by boat manufacturer, Richard Mille, the opening ceremony was fun. 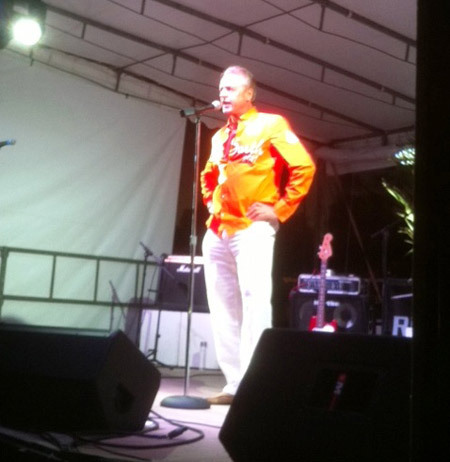 St. Barth’s President Bruno Magras gave the opening speech followed by a speech by Benoit. 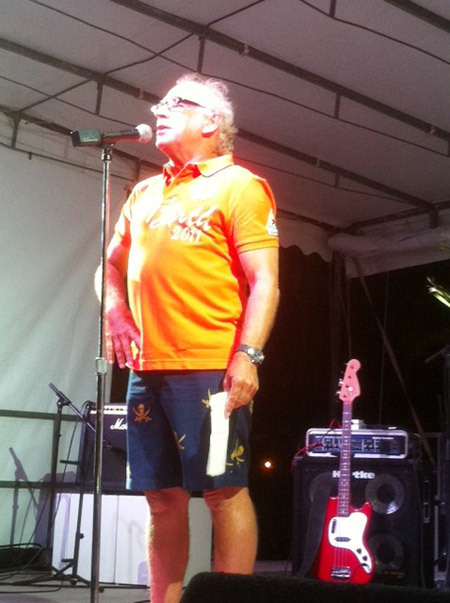 Even Jimmy Buffett gave a welcome speech. This annual event gets better and better. The race began today and continues every day though Saturday. Over 55 boats have registered and there are 5 categories: Super/Maxi Yacht (9 boats) Classic (6 boats), Racing (15 boats), Racing-Cruising (23 boats), and Racing-Multihull (6 boats). Each evening there is a sound and light show followed by live music on the quai. You can buy some wonderful top quality commemorative clothing. And purchase a beer or a drink for only 3 euros apiece! Saturday evening April 09, 2011 is the awards ceremony followed by fireworks and live music. You can follow the events via Livecam http://solutech.net/vsb/index1medium.html. 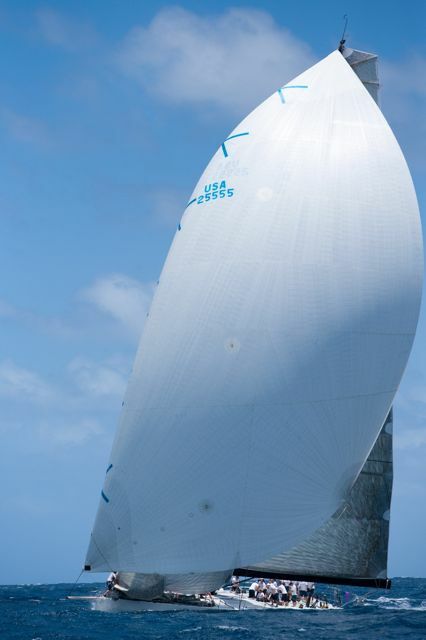 Les Voiles de St. Barth has become an annual event. 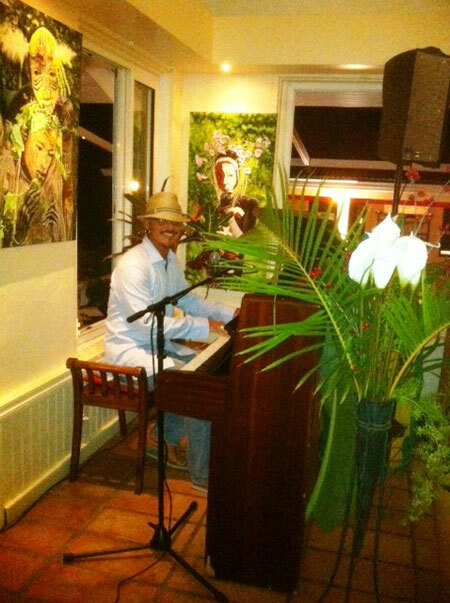 Think about coming to St Barth in early April and join in the festivities. 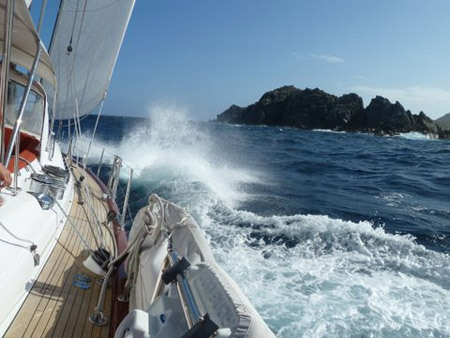 Better yet, why not come for the St. Barth Bucket towards the end of March and stay on for Les Voiles de St. Barth? Call us at 1-800-421-3396 or email reservations@stbarth.com .